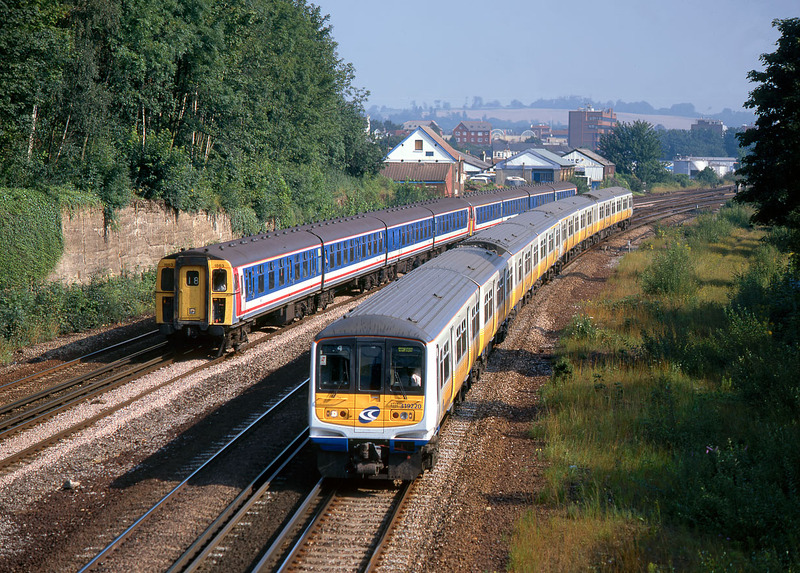 The old and the (relatively) new at Earlswood on 9 August 1997. Connex South Central 319220 leading the 09:08 Victoria to Brighton service, overtakes Class 421/4 4-CIG 1863 heading the 09:02 Victoria to Horsham train. Given a six minute head start, this is obviously the point where the new order catches up with the old, assuming they both left on time of course!